The University of Tampa (colloquially referred to as “UT”) is a privately owned and operated, four-year, coeducational university located in Tampa, Florida. UT offers over 150 bachelor’s degrees and 10 master’s degrees in various fields of study including business, management, finance, accounting, teacher education, instructional design and technology, marketing, administration, creative writing and nursing. In its Best 296 Business Schools publication Princeton Review recognized the University of Tampa Sykes College of Business as one of America’s outstanding business business schools. See the degree programs that are offered at The University of Tampa. See the distance education degree programs that are offered at The University of Tampa. See what it costs to enroll at The University of Tampa and how many students are receiving scholarships, grants, or loans as financial aid to help cover the costs of tuition. 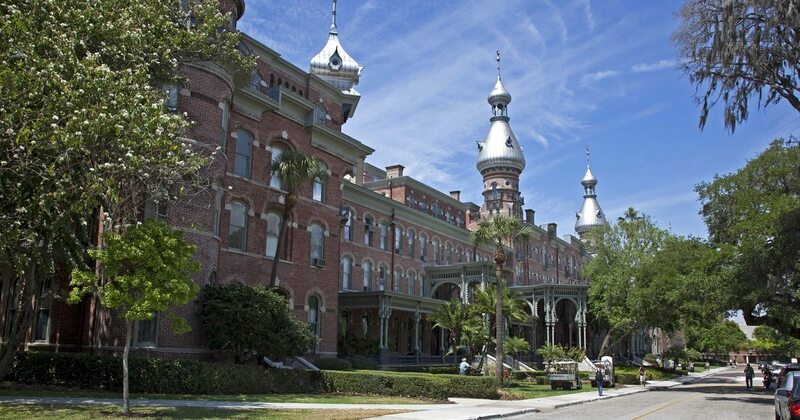 See the admission requirements for The University of Tampa. Find out how many students apply and how many are accepted. View a graphical breakdown of the gender, age, and ethnicity of currently enrolled The University of Tampa students.